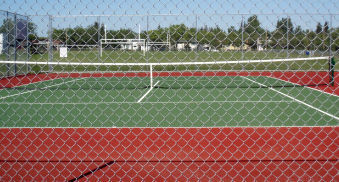 The addition of tennis courts in 2007 to the community allows for additional recreation opportunities. Two full size outdoor courts with proper playing surface offer an authentic tennis experience. They are open to the public and are located to the east of the RECplex. Grab a racket and a friend and challenge them to a game of tennis!